Joanna Haslam is an ambitious young journalist, assigned to cover the legendary actor's funeral. The great and the good of the celebrity world are there. But Joanna stumbles on something dark beneath the glamour: the mention of a letter James Harrison has left behind, the contents of which others have been desperate to conceal for over seventy years. As she peels back the veil of lies that has shrouded the secret, she realizes that there are other forces attempting to prevent her from discovering the truth. And they'll stop at nothing to reach the letter before she does. This title was originally published as Seeing Double. 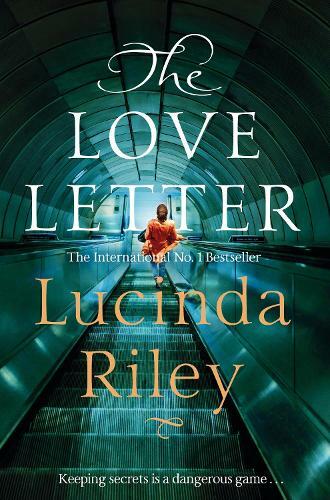 Bestselling Irish author Lucinda Riley’s novels include the phenomenally popular series The Seven Sisters as well as standalone novels including: The Light Behind the Window, The Midnight Rose, The Olive Tree, Hothouse Flower and The Italian Girl. Novels in the Seven Sisters series are in reading order: The Seven Sisters, The Storm Sister, The Shadow Sister and The Pearl Sister.